Don't miss the Bastille Day Festival this year in Austin Texas! Each year, Austinites come together to celebrate Bastille Day with live music, dancing, silent auctions, food and more! 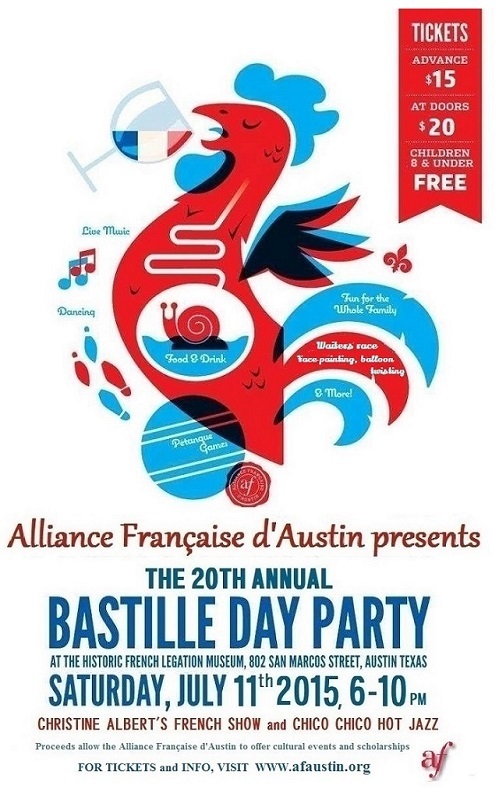 Check out this years events at https://www.afaustin.org/bastille-day-2014.